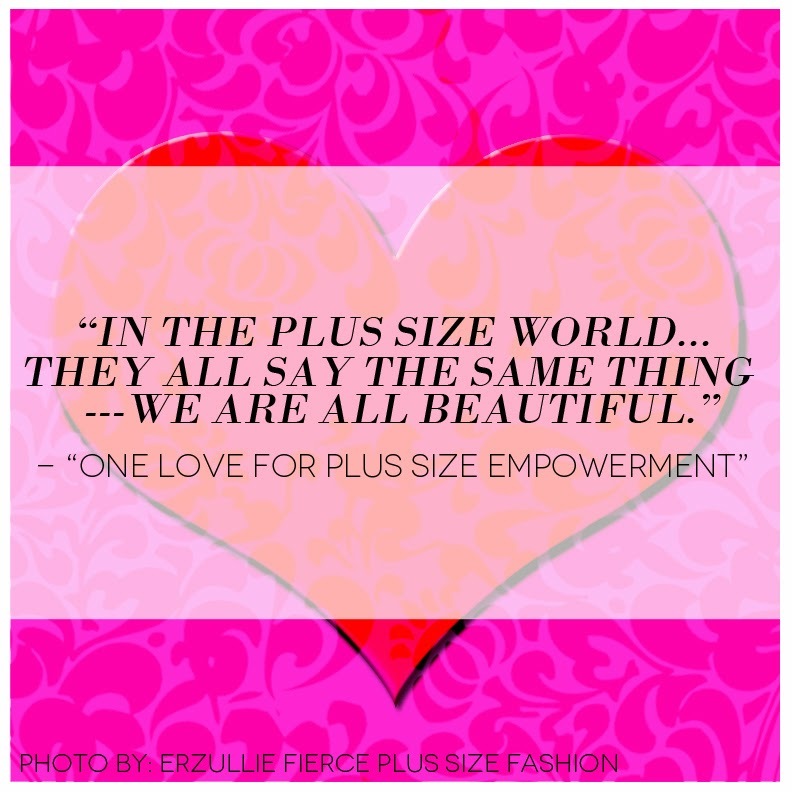 In the plus size world, there are many messages being brought, but I do believe that they all say the same thing --- we are all beautiful and we deserve respect just like anyone else. But of course, there will be times that we will find someone whom we cannot agree with. 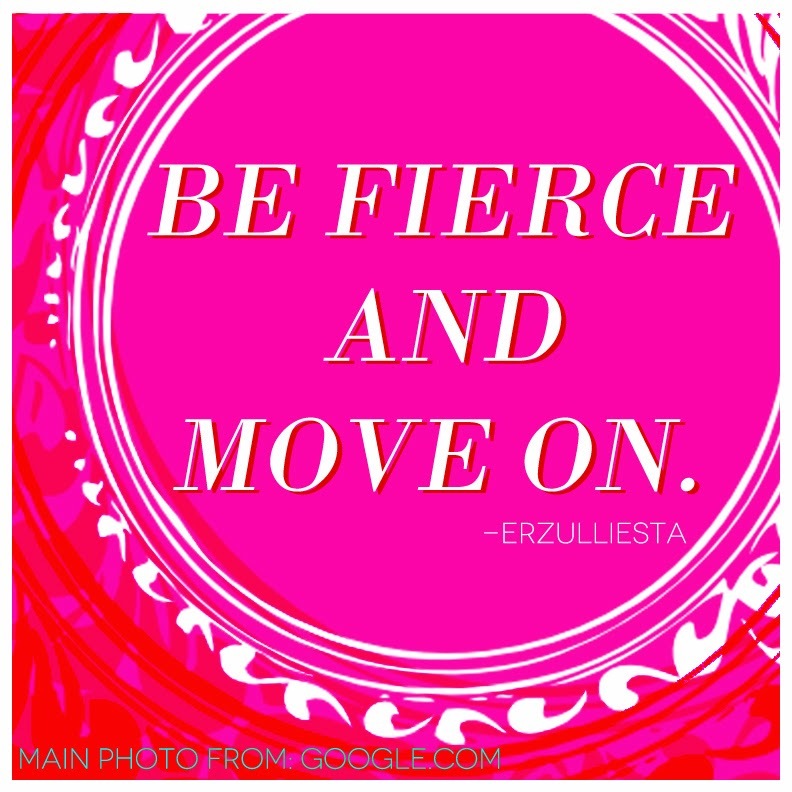 For me, the right way to go about it is to just respect the person’s views, while stating your own. It doesn’t even need to contradict. You just have to talk about it or opt not to respond and find others that share your own views, instead. 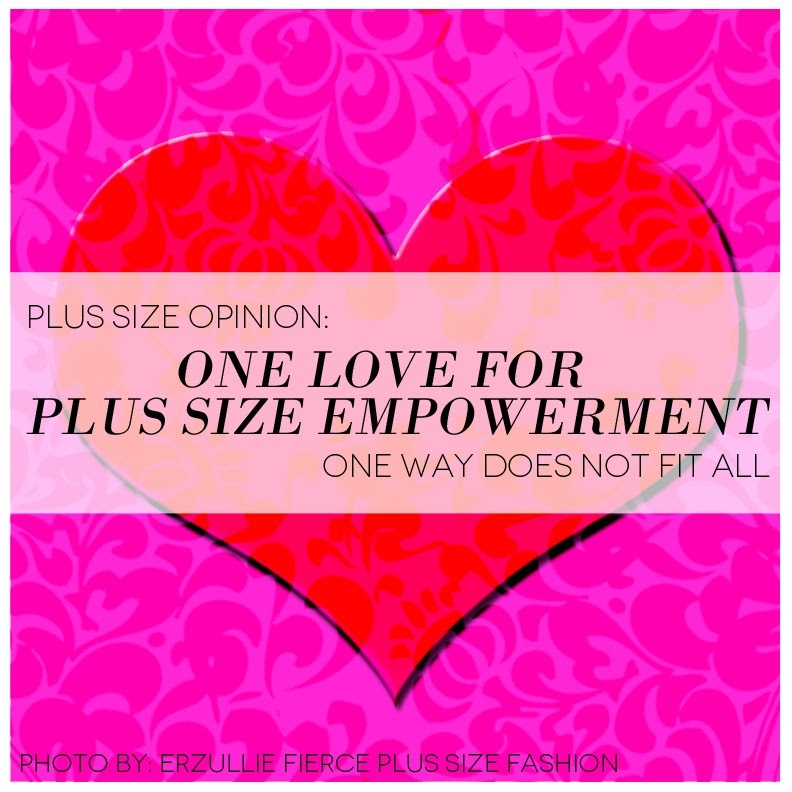 Because isn’t this what the plus size advocacy is all about? 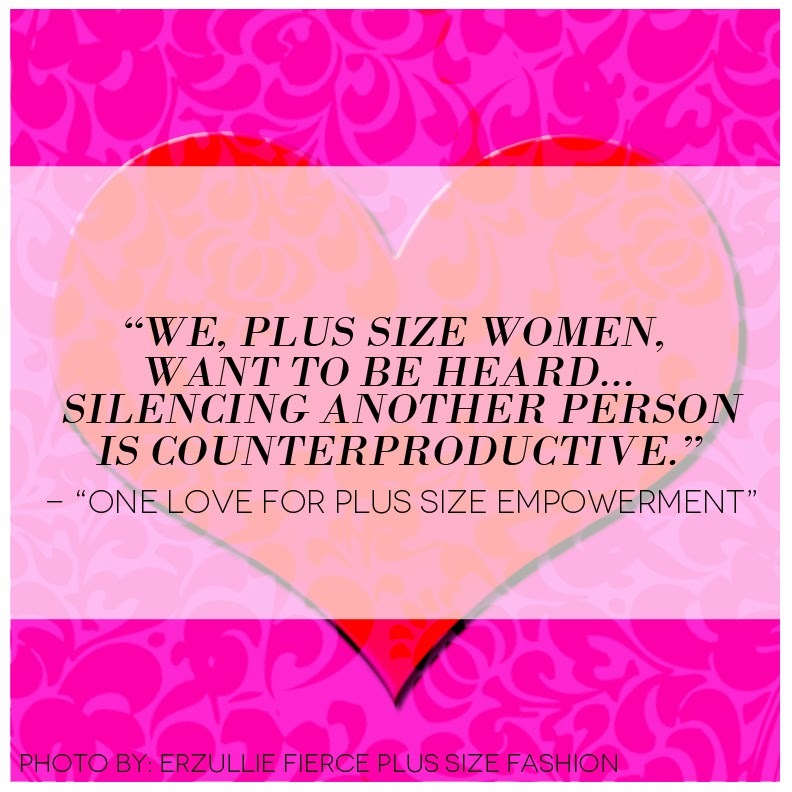 We, plus size women, want to be heard as a viable part of society. In order to heard, we need to talk about it or at least have someone do. Silencing another person is counterproductive. Because once the talk dies, that’s the end of the cause --- we are no longer heard. So instead of stopping someone from doing what they think is right for the cause, respect it. 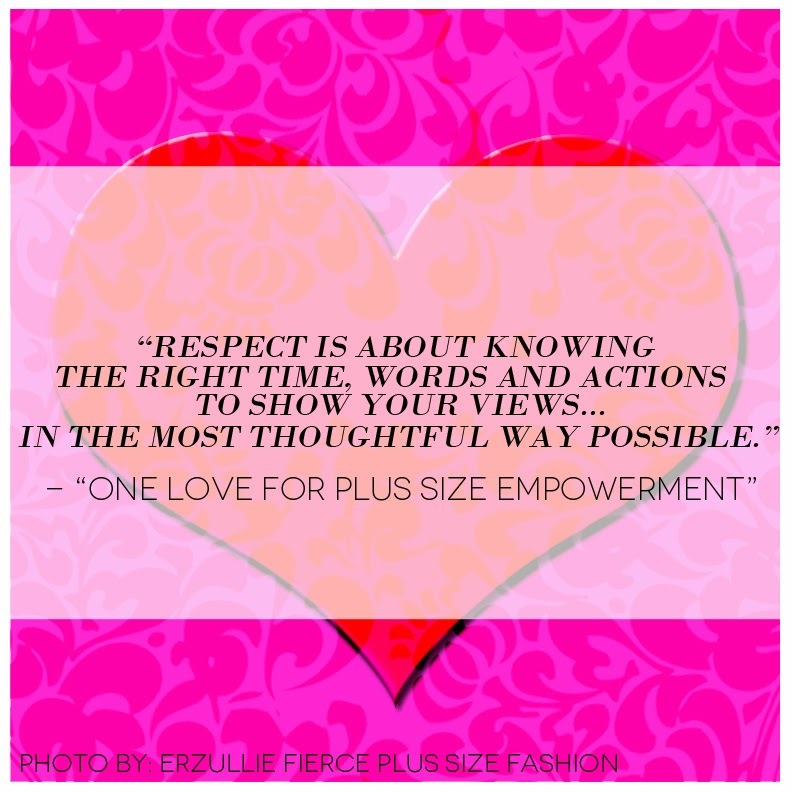 Respect is about knowing the right time, words and actions to show your views about the matter and conveying them in the most thoughtful way possible. This way, we keep the conversation going. We are all doing our best for the cause, ladies --- believe me. 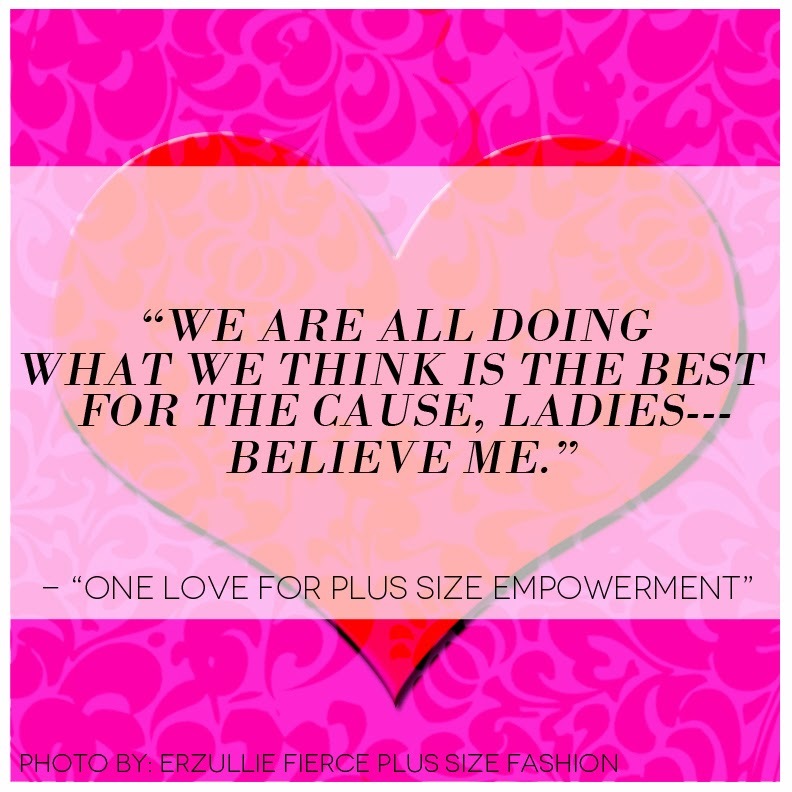 There are different lines of thoughts but we all have the goal of empowering plus size women in mind. 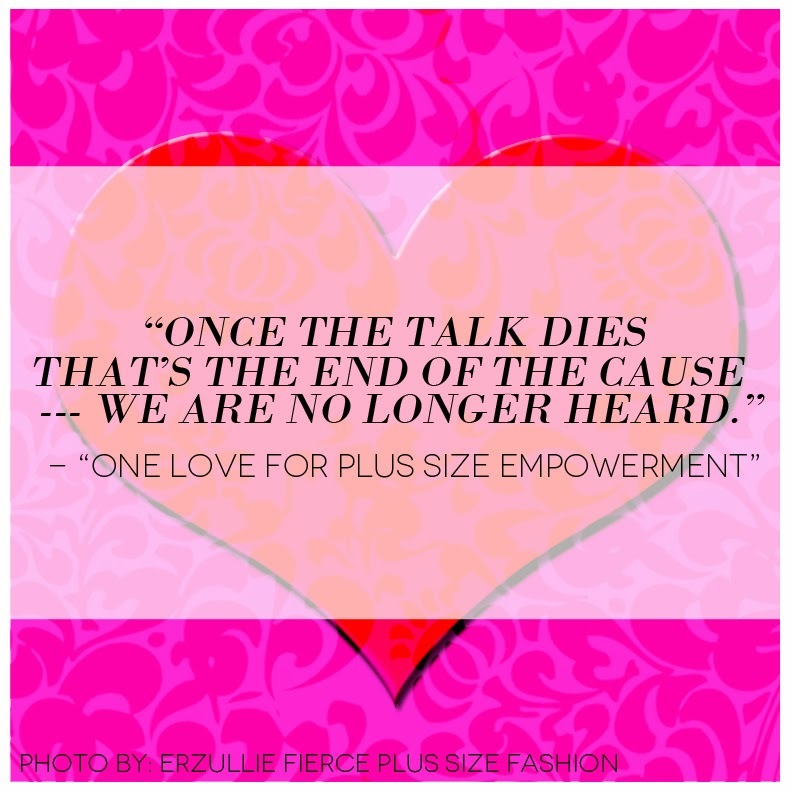 So let’s just talk about our ideas instead and remind ourselves that in the end, we all have one love towards plus size empowerment. As if, we need to remind Erzulliestas about this, right?